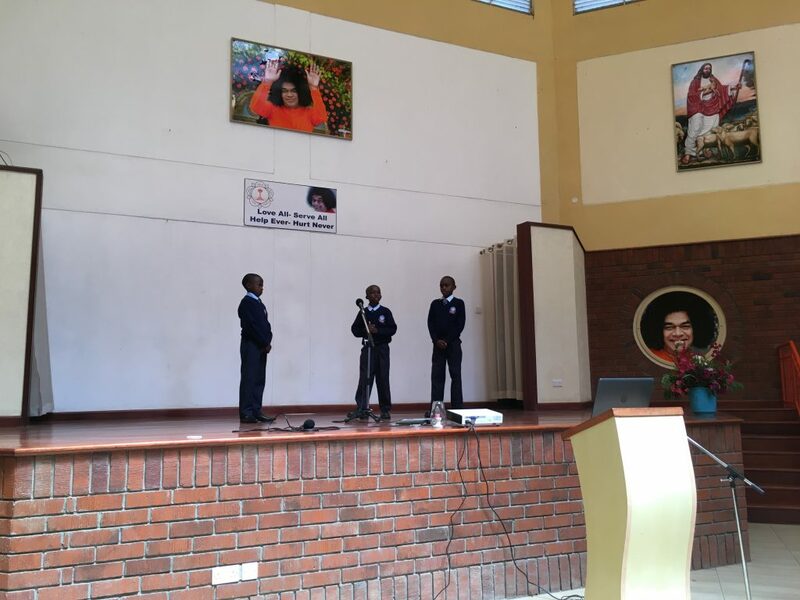 On July 9, 2017, as is customary every year, Sathya Sai School – Kisaju celebrated Guru Poornima by honouring our main Guru – our beloved Sathya Sai Baba, as well as the teachers at school. Many parents, guardians, devotees, and well-wishers also attended the event. The celebrations began at 11:00 A.M. with an assembly where the Principal, Mr. Abraham, and the Chairman of the Board of Trustees, Bro. 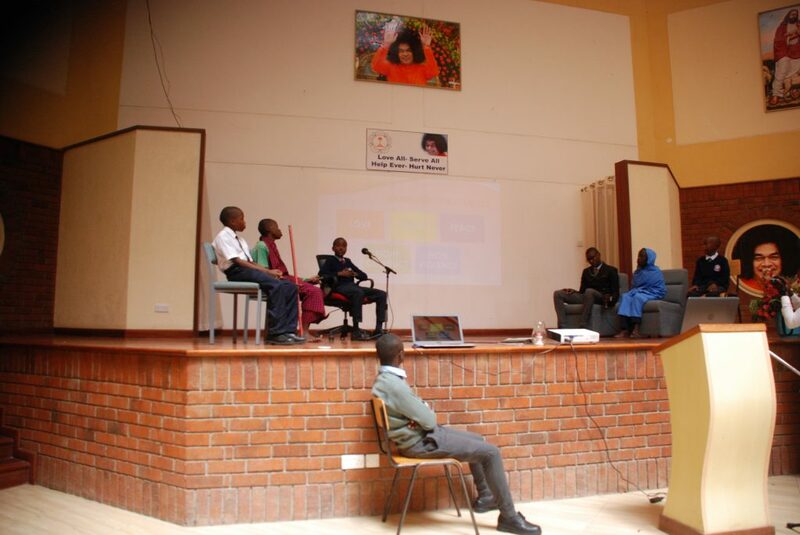 Kuldip Singh, and Chairman of Sri Sathya Sai Centre – Kenya, Bro. Venkataram briefly addressed the students (“gentlemen” as they are called here) and the visitors. Bro. Kuldip Singh also introduced all the guests to the gentlemen. 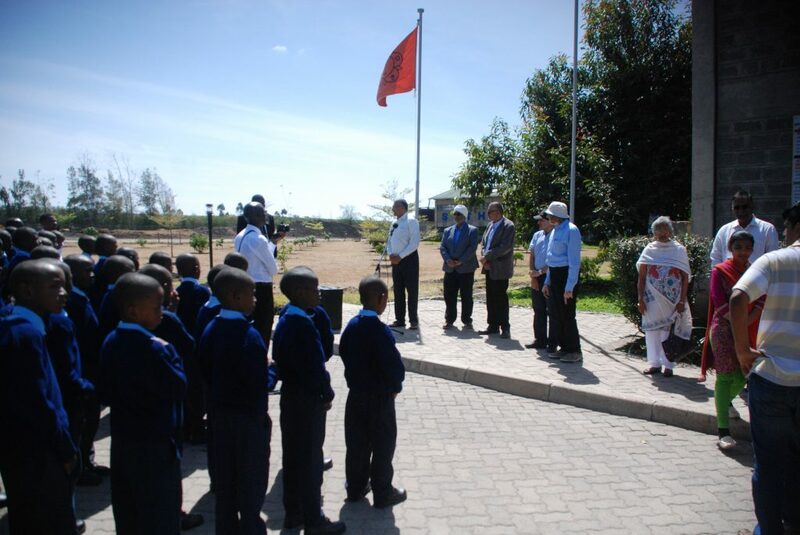 A guard of honor was held by the gentlemen in honour of some key guests. 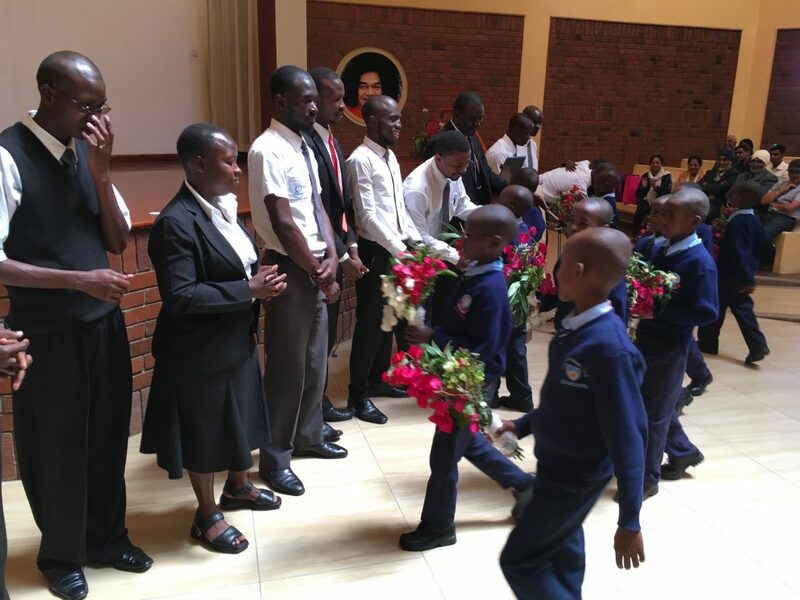 The gentlemen and teachers, followed by the parents and guests then marched to the auditorium singing “we are marching into the house of God” for the main event of the day. 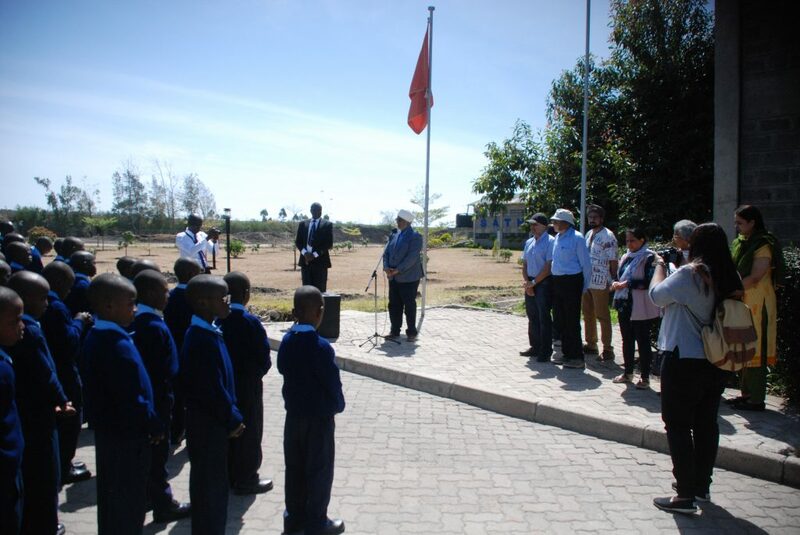 The gentlemen started off the proceedings with multi-faith prayers. 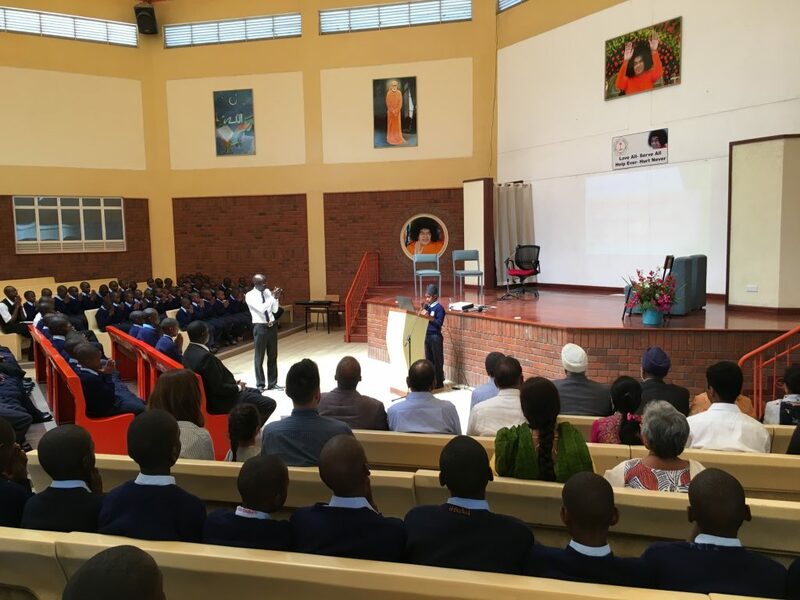 The principal of the school, Mr. Abraham then gave a short speech, paying respects to our founder Sri Sathya Sai Baba, welcoming the guests, devotees, well-wishers, and parents and giving a short introduction to the school as well as the value based education being provided. 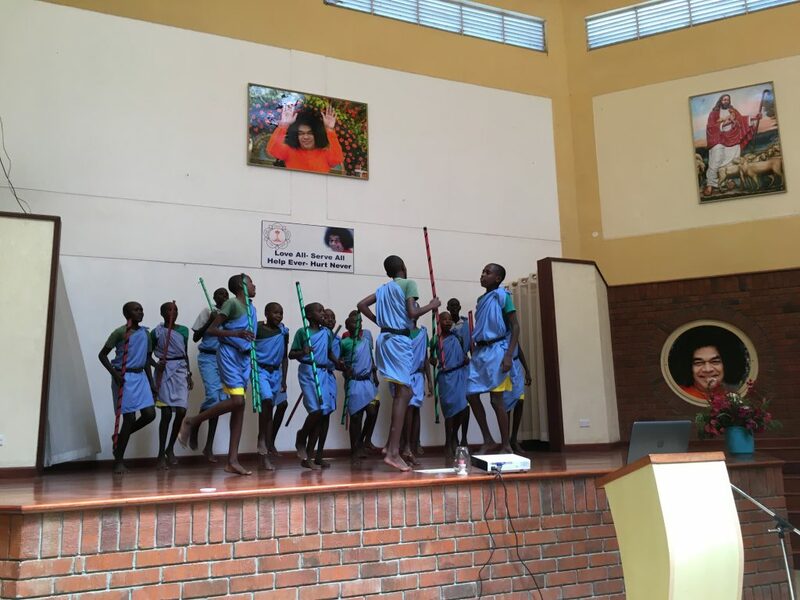 Following Mr. Abraham’s speech, the gentlemen provided entertainment to the visitors in the form of value based skits and a Maasai traditional dance. They received a huge applause from the audience for their marvelous performances. Later, Bro. Kuldip Singh gave a short speech to thank our founder as well as explain the significance of Guru Poornima. He paid homage to revered founder Sathya Sai Baba and emphasized that all should endeavor to internalize and practice these values taught. 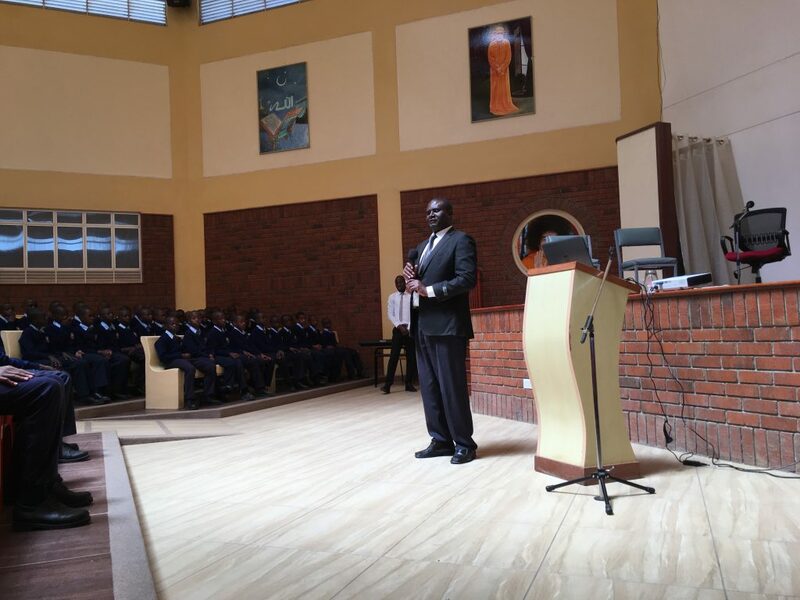 He also thanked the teachers for their tireless work in educating the students of the school and shared some words of wisdom by our beloved Baba addressed to teachers and students. 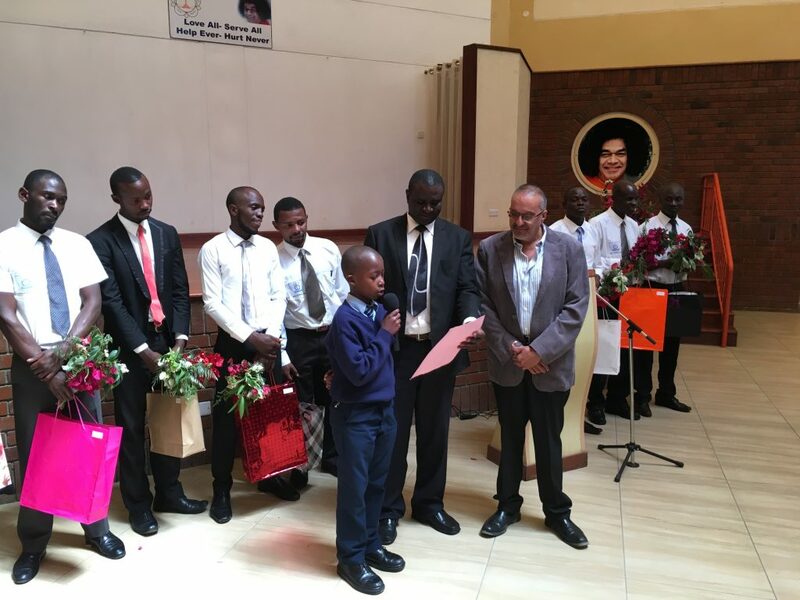 He then invited all the teachers of the school to the front to be honoured by the guests and the gentlemen of the school. 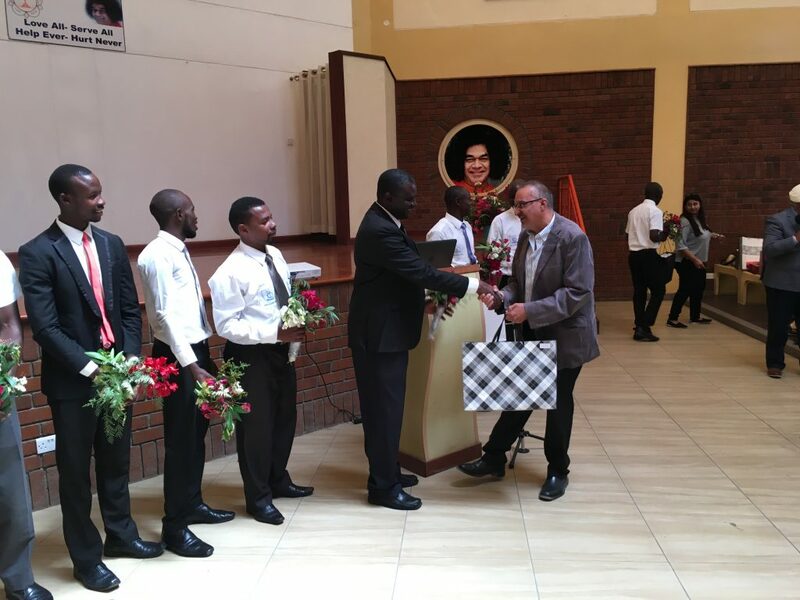 As the teachers lined up in the front of the auditorium, the gentlemen hugged and presented their teachers with a bouquet of flowers each to show their appreciation. 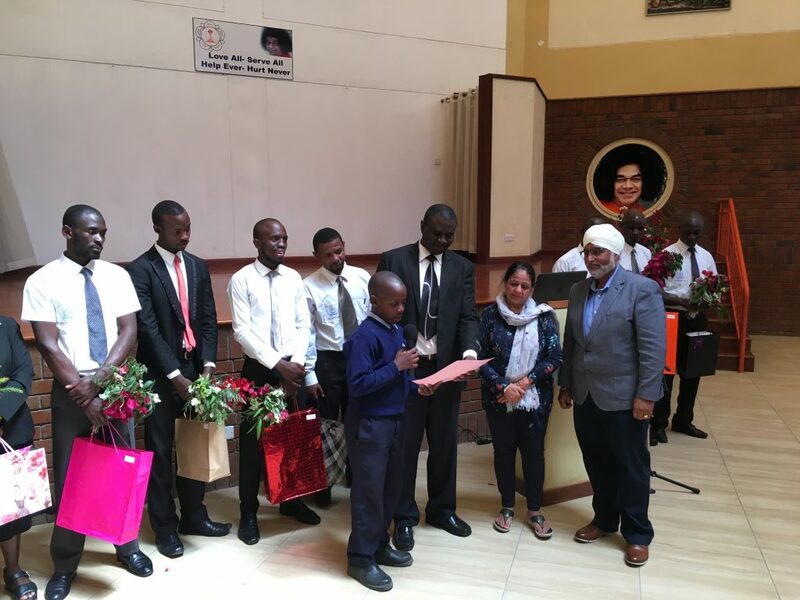 Each teacher was also presented with a small token of appreciation from the guests, parents, and youth attending the function. 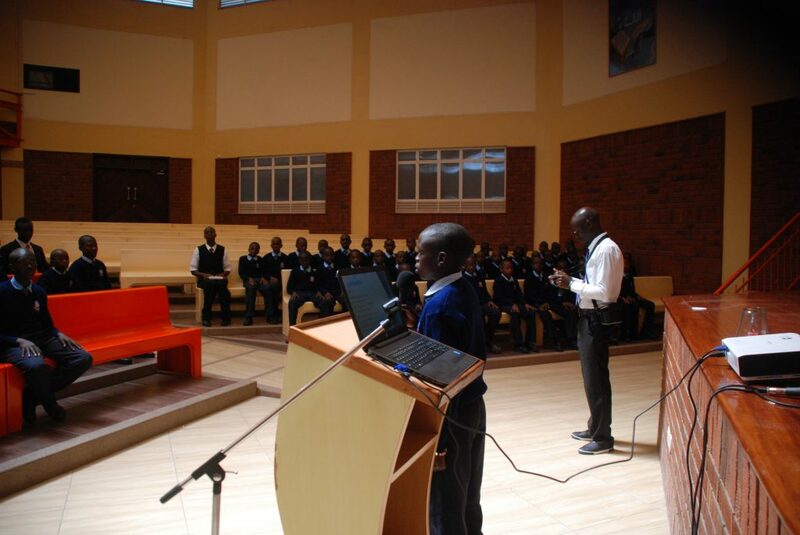 Mr. Abraham gave a short vote of thanks and also invited two of the students to present a card each to Bro. Amarjit Panesar and to Mr. and Mrs. Kuldip Singh. The gentlemen read their loving words written out on the card and presented it to them with lots of love. 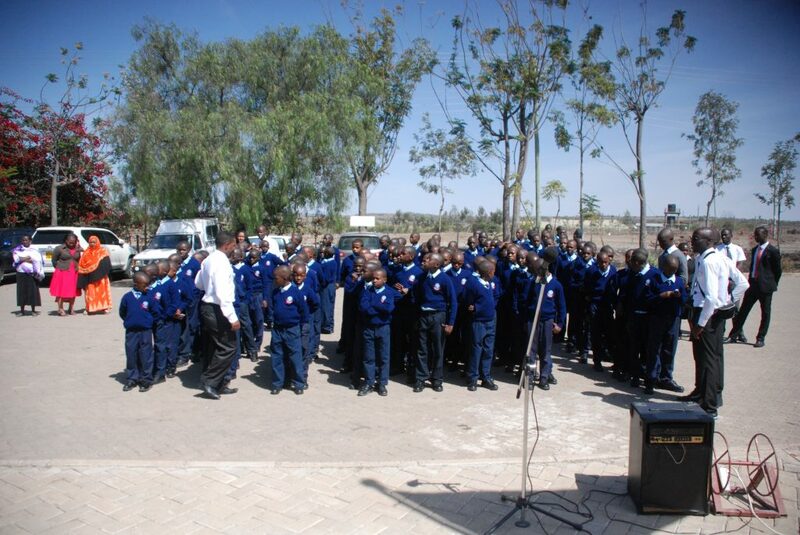 Mr. Abraham then brought an end to the proceedings and invited all the guests to be led by Bro. Kuldip Singh along with Bro. 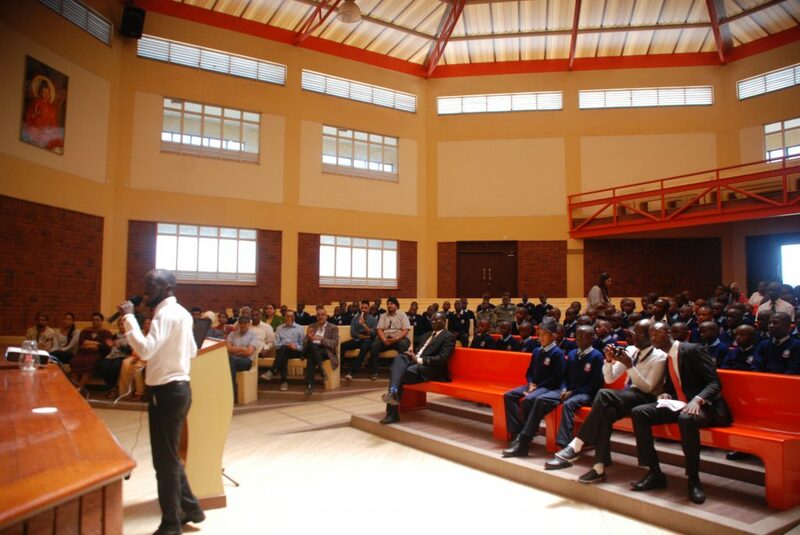 Sura (Engineer) on a tour of the construction of the new secondary school. After the tour, the visitors enjoyed some lunch before heading back home. We thank Swami for his love and able guidance always. All the pictures from the event can be viewed here. 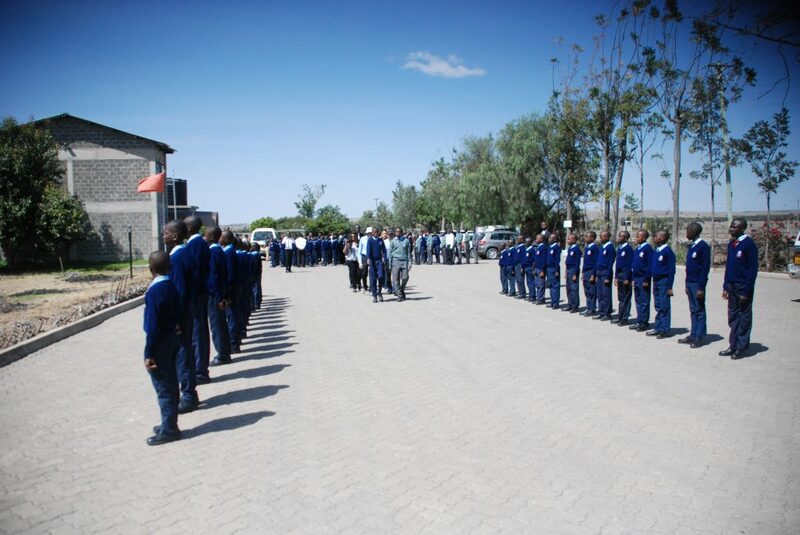 Teachers being presented with tokens of appreciation. 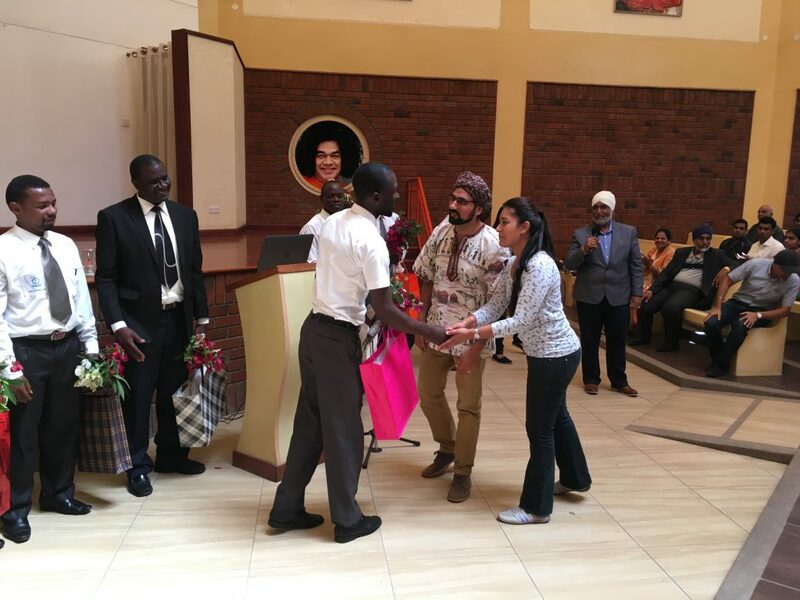 Another teacher being presented with a token of appreciation from some of the visitors. "Desire destroys devotion, anger destroys wisdom, greed destroys work - hence these bad qualities must be sacrificed."